Have you found yourself wondering how to stretch your money? When money is already tight, it can seem impossible to make your paycheck stretch through the end of the month. Making your paycheck last, though, is necessary to avoiding payday loan debt, or any debt, for that matter. 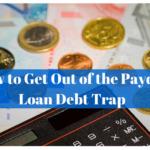 If you can learn how to stretch your money to make it through until your next payday, you’re on the right track to getting, and staying, out of debt. 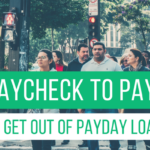 Whether you’re trying to get out of payday loan debt or you’re just trying to get by, we’re sharing with you 10 tips to make your paycheck stretch further. Using these tips, we hope to teach you some easy ways for how to make money stretch, to get through until your next paycheck. Make a plan for how you’re going to spend your money. Write down how much money you have coming in this month. Next, make a list of the necessities: rent, groceries, gas to get to and from work, etc. If you have money left over after all of the necessities have been paid, then you can plan for how the rest will be spent: paying off debt, new clothes for the kids, etc. Using a budget will help you stay on track and make sure you don’t overspend your paycheck before the end of the month. If you’re halfway through the month, use these same steps with the money you have left and the expenses you have left to pay. If you go through the process and you don’t have enough money to cover everything, there’s two things you can do; decrease some of your expenses or find a way to increase your income. Plan your spending around the sales. There’s no need to ever spend full price on anything, especially when you’re trying to stretch your money. Before going shopping, search the ads in the paper or online to find the best deals. When certain grocery items you need are on sale, stock up. 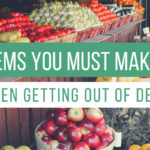 When you’re trying to make your paycheck stretch, you have to be flexible and open to not necessarily buying the things you want, but instead buying the things you need that are also on sale. If money is already tight, having to pay a mechanic, plumber, or electrician to fix an unexpected issue can be really stressful. So, before you call the pros, do some research and see if it’s something you can fix yourself. Search the internet or YouTube. There’s a wealth of knowledge and online tutorials that can show you how to fix almost anything. There are situations when paying a professional is the safest and most cost-effective route. However, paying an expert to come fix an issue for you will cost you several times what it would cost you to do it yourself. So, do your research. Find out if it’s something you can fix yourself. If not, try to find a friend who can do it and would be willing to do it for free or for a discounted price. Never pay full price. If you’re already tight on money, using coupons can help you buy enough food to get through the end of the month without overspending. Most grocery stores also have coupon days when you can use multiple coupons to save even more money. Take advantage of these deals, and do your research. There are a ton of great online resources for learning how to coupon, like this. Skip the soda, and coffee, and alcohol and replace them with water. We spend a lot of extra money on drinks, alone. So, if you’re trying to stretch your paycheck through the end of this month, give up the daily soda or coffee pit stop on the way to work. By replacing your daily drink, whatever it is, with water, you’ll also be keeping your body hydrated and staying on top of your health. Better health and more money? It’s a win-win! If you’re trying to stretch your paycheck through the end of the month, skip the restaurants. Eating out is expensive and costs far more than buying groceries and cooking at home. So, skip the drive-thru and the sit-down restaurant and, yes, the chinese carry-out, too. Your wallet will thank you for it later. Since you’ll be skipping the restaurants (see #7), you’re going to be spending more money on groceries. Buying in bulk can help you save on the items you use the most. So, check out your local wholesale warehouse, like Costco or Sams, and buy the things you use most (bread, eggs, beans, pasta, etc.) in bulk to save money and stretch your paycheck through the end of the month. They’re typically the same as the name-brand products, anyways, so why spend more than you have to? When it comes to grocery shopping, go with the generic brands. This is a great way to save money on groceries when you’re trying to make your money last longer. It’s impossible to spend more money than you have if you’re paying with cash. It’s also a lot more difficult to spend money when you’re having to hand over cash rather than swiping your debit/credit card. So, you’ll think twice about purchases that aren’t necessities. Give it a try. Pull out the rest of the cash that you have left to spend for this month and put your debit/credit card in a drawer. Paying with cash is a great way to not overspend. Making your paycheck go further gives you the financial space to accomplish your goals, and knowing how to stretch your money is a skill you’ll use for the rest of your life. These tips can also help you ensure that you have enough money to buy the things you need, like groceries and gas to get to and from work. 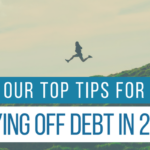 Give one or several of these tips a try and make the most of your money this month.